In this cold weather, all I want to snuggle up in a blanket with a book and a warm beverage. 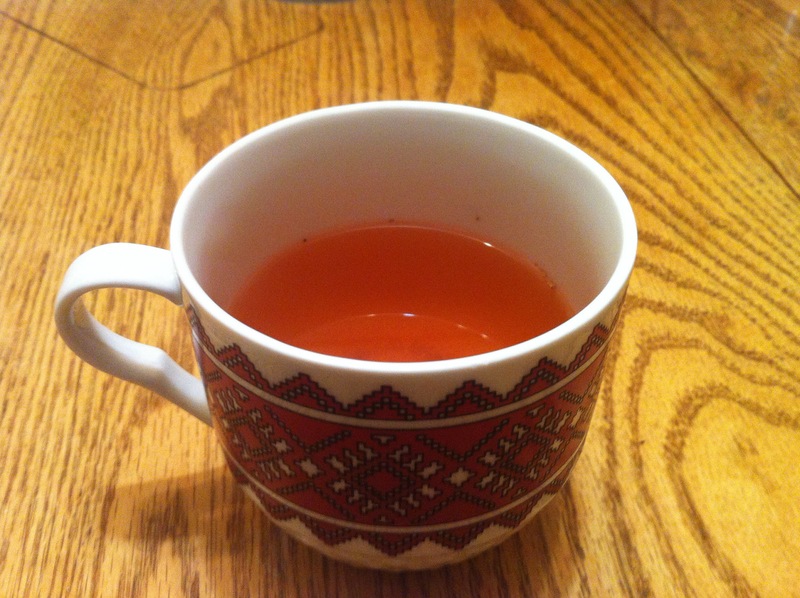 This apple cider recipe was shared with me by a fine lady who sold tea at Detroit’s Eastern Market, and every time I make it, I’m taken back to one of my favourite trips ever (go visit Detroit!). Put tea leaves into a tea strainer or bag. Add apple juice and tea (and optional additions) to a pot. Bring to a boil for 3 minutes. Let it cool off a wee bit so you don’t burn your tongue. Pour into four mugs and enjoy! Yes, I do really need to come up with a better name for the soup. 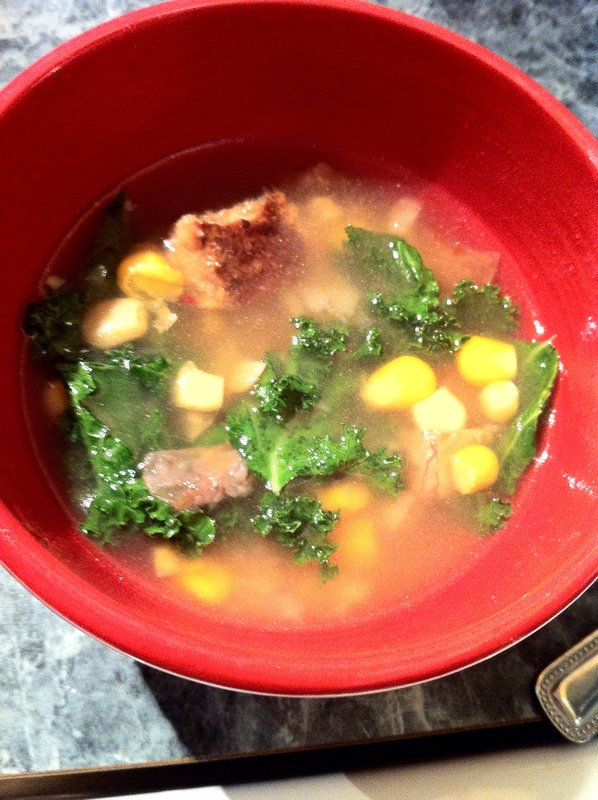 The soup still looks the same as Bain’s recipe, but it tastes a fair bit different. Either way, both soups are very tasty, and this gives me something to do on my days off.